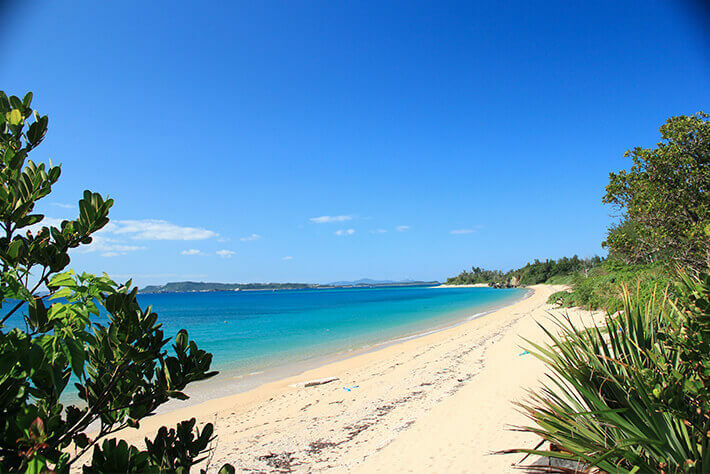 Approximately 15 minutes by high-speed boat from Heshikiya Port in Katsuren, Uruma City on the main island of Okinawa,Tsuken Island is home to abundant nature, surrounded by natural beaches and the blue ocean. 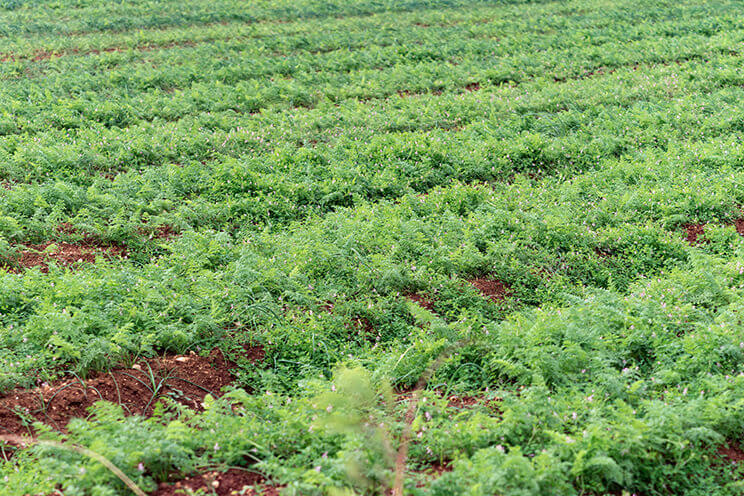 Farmland covers approximately 80% of the island, and roughly 60% of which are carrot farms.The island is known for its specialty product, the Tsuken Carrot, which is high in sugar content and nutritional value, and therefore adored by the name of Carrot Island. 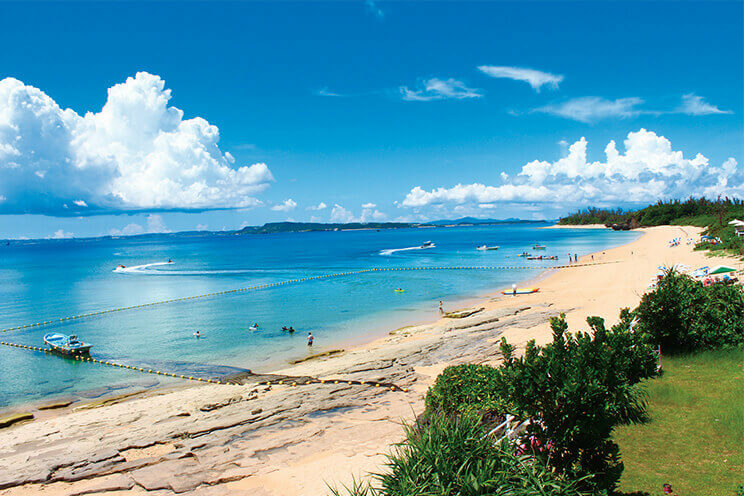 There is an abundance of seafood in the surrounding waters, making Tsuken Island ideal for fishing and snorkeling as well. In the summer leisure season, many visitors, from tourists to locals, flock to the island, bringing with them quite the bustle. The lighthouse that remains on the island is the first lighthouse built in Okinawa and is considered a significant work of modern architecture. The fields of red soil known as “Shimajiri maji” covering the land of Tsuken Island are rich in minerals from the ocean brought by the sea breeze and are said to be suitable for cultivating root vegetables. As a result, the Tsuken Carrot has come to be known as an exceptional carrot with its high sugar content and nutritional value, compared with ordinary carrots, and during the harvest season from March to May, a large number of people from outside the island visit to take part in the harvest. Unique souvenirs made with Tsuken Carrot with emphasis on its high sugar content including sweets and cider are also quite popular. 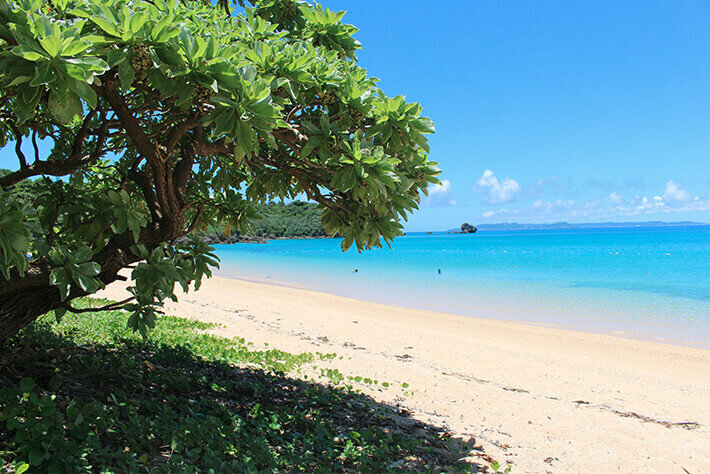 On the west coast of the island is a natural beach that extends over 1 km. 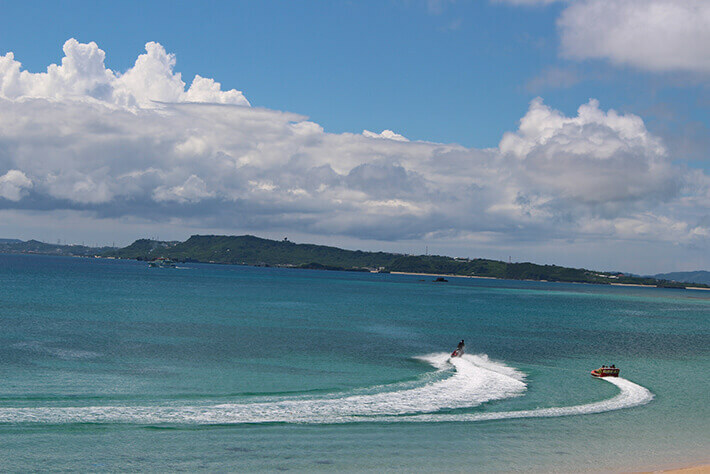 In addition to being one of the largest natural beaches in the prefecture, Tomai beach faces tNakagusuku Bay on the main island of Okinawa, so the waves remain calm, making it popular among people with children. 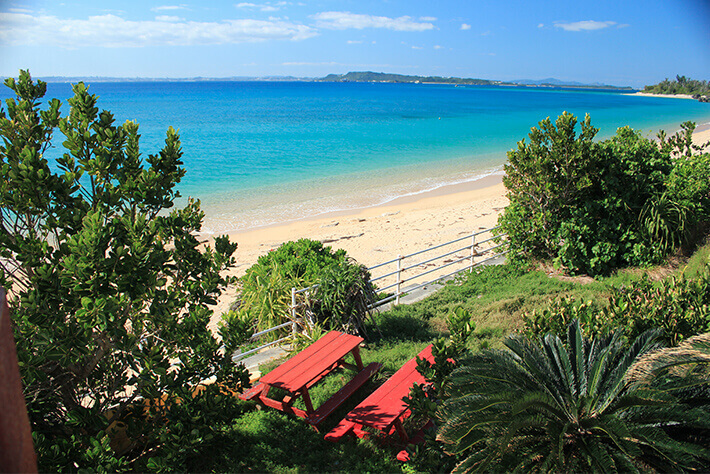 As there is a campground provided adjacent to the beach, many visitors come to enjoy marine leisure activities from the main island of Okinawa during the summer season as well. The “Chikin-dekuni” (Tsuken radish) that used to be grown on the island was known for being sweet and soft as well as suited for pickles and simmered dishes, once serving as the main cash crop of the island. Although carrots have become more mainstream these days, it goes to show that the root vegetables of Tsuken Island seem to have always been popular. The main means of transportation on the island is rental bicycle. 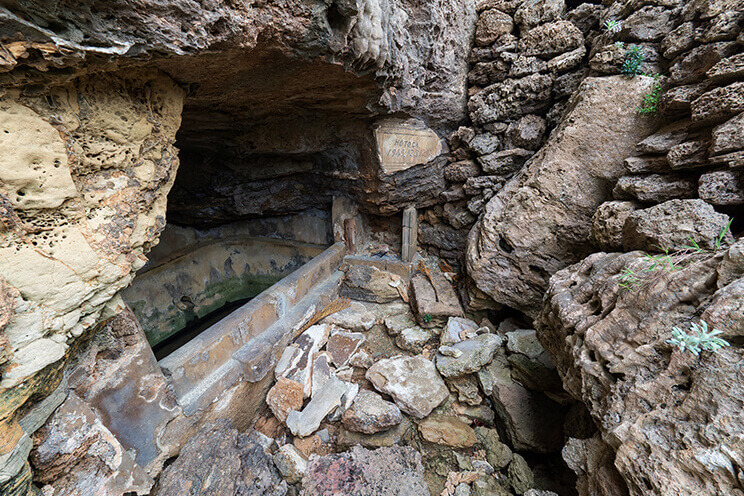 You can make your way around this idyllic island, from the legendary well of “Hotuga,” believed to have been discovered by a pigeon, to Maka, the spirit of childbearing, and the first lighthouse of Okinawa.